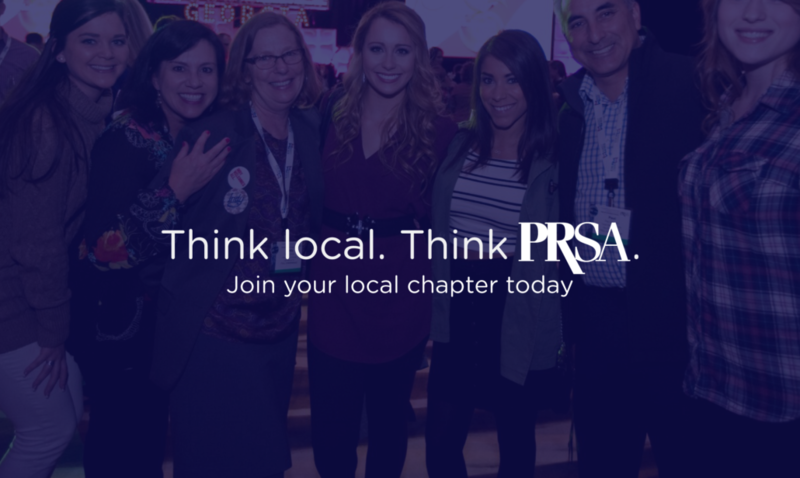 Having access to thousands of communications professionals through the Public Relations Society of America (PRSA) is a wonderful thing, but there is also something special about being a part of something local. Join PRSA by April 30, 2018 and you will also receive a membership to the Greater Fort Worth Chapter for free — when you use the promo code CHAPTERS18. Why Should You Join Our Chapter? The more involved you are with your profession and community, the more likely you are to be engaged in the workplace. The Greater Fort Worth Chapter provides our members with knowledge, training and the opportunity for professional growth and connections. Be with Your People – By attending our Chapter events, you get out of the office and are able to mingle with people who share your passion for PR and communications. Networking – Our Chapter members are able to connect with other members and industry experts in a variety of ways, such as in-person meetings and by building one-on-one relationships. You Are Not Alone – If you are an independent practitioner or work in a small communications/PR department you might not have many people around to bounce ideas off of. However you are not alone, we have many members that know what you’re going through and are more than happy to give you advice and feedback. Career Connections – No one knows more about what is happening in the PR/communications industry with regards to career opportunities, job openings and potential future connections to advance your career than the members of our Chapter. Sign up today to start taking advantage of your PRSA benefits, including a members-only app, a members-only online community, a daily e-newsletter featuring breaking industry headlines, a library of informative webinars, networking tools and many other resources. If you have any questions, the PRSA Membership team would be happy to help. Feel free to call (212) 460-1400 or email Member Services. P.S. : Don’t delay – there won’t be another free Chapter offer until October 2018! * Offer is not valid for current members, renewing members, PRSSA Graduates, Graduate Students, Associate Members, Associate Members 1 or Associate Members 2. Refer to https://www.prsa.org/membership/membership-categories for details.